The 2018 FORMULA 1 ROLEX AUSTRALIAN GRAND PRIX was our 17th year working with the Australian Grand Prix Corporation and our 11th year for the FORMULA 1 SINGAPORE AIRLINES SINGAPORE GRAND PRIX. As we do every year ZSPACE produced GPTV, a comprehensive, continuous live on-track broadcast providing patrons and fans at the circuit their electronic pit pass into the world of Formula 1. 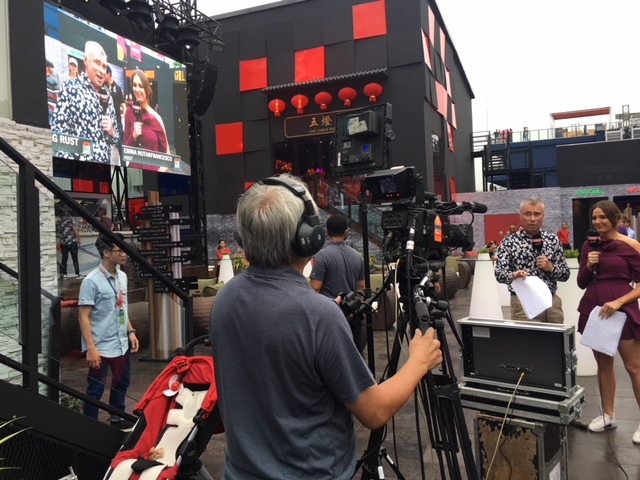 Our team of presenters, reporters, commentators and technical/production crew cover the breaking news and provide insights into all the teams and drivers. Whether it’s on or off track, GPTV keeps fans updated throughout the day with expert analysis and unrivaled access. Unfortunately we can’t share any footage or images on our website due to FOM restrictions.